Orthopedic Leg Scooters in Denver - RENT NOW! Looking for orthopedic leg scooters? Our knee scooters are an excellent alternative to crutches. 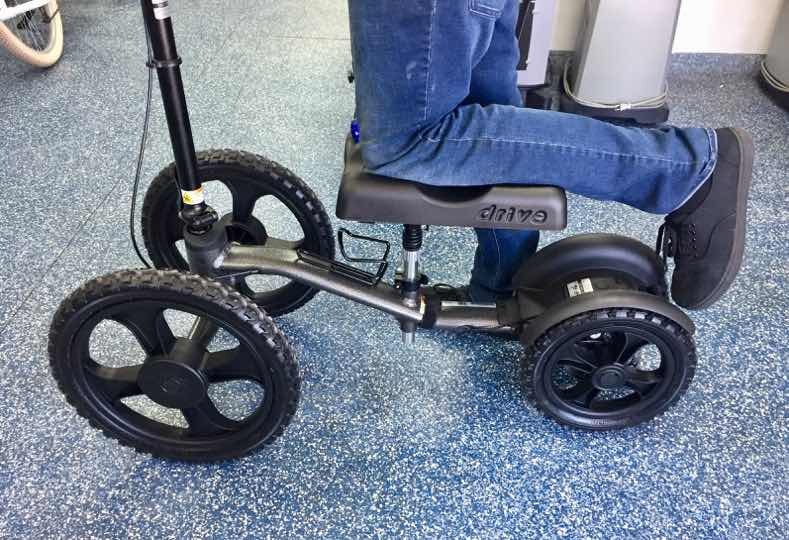 Whether you are planning for a surgery, or just sick of crutches, we have the knee scooter to help you get around. We can accommodate most mobility issues for foot and ankle injuries and are often suggested for below-the-knee surgery recovery. Recovery can be tough, but you can gain a lot more freedom in your mobility with the use of a knee scooter. Most of our customers have a recovery period of 4-8 weeks, making a no-hassle rental the best financial option for recovery.